Kings Gap Hotel: What's Happening? You are here: Home / Blog / Kings Gap Hotel: What’s Happening? Kings Gap Hotel: What’s Happening? 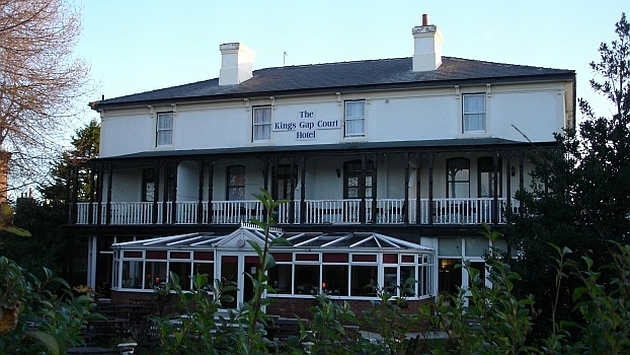 It is clearly evident that the multi-million pound redevelopment of the Kings Gap Hotel has not yet commenced. I’ve previously detailed the proposed upgrade and this post provides much of the detail. A company called Sanguine Hospitality are the current owners of Hoylake’s only hotel and you can read more about them on this website. This company has backed several hotel redevelopments in the region and has recently announced the go-ahead for the Indigo Hotel over in Liverpool. I recently enquired about the status of the Kings Gap development and was informed that work would not be commencing in the near future. Today, the Daily Post debates that the developers, Sanguine and Wirral Council are in disagreement over a revised planning application. The 2008 planning applications can be viewed here and here. Simon Matthews-Williams of Sanguine is frustrated – reports the Daily Post in this article with an incorrect photo – that the council is demanding new planning applications for revisions to the existing plans and for a suggested, Marco-Pierre White branded restaurant. What are your thoughts – feel free to comment!